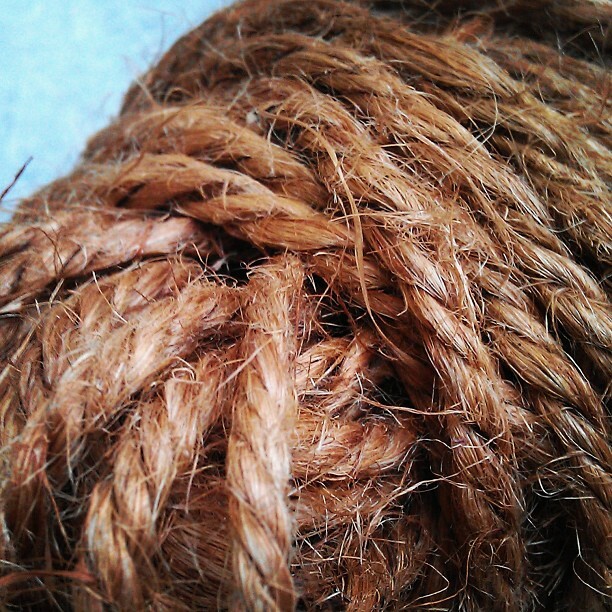 Have you ever tried working with twine or burlap? I like crafting with these & I bet if you will be trying, you will also be feeling good at your creation. 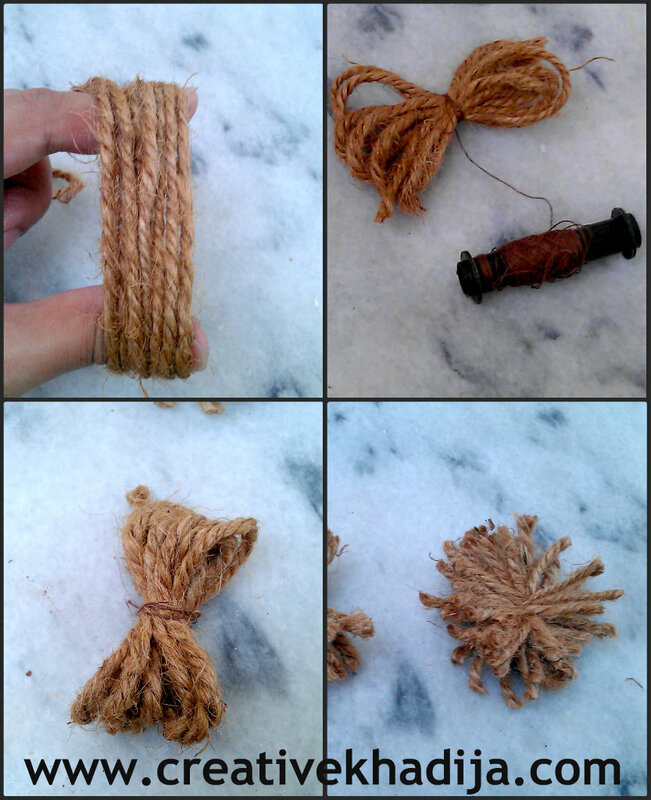 fall is almost around in many parts of the world, its the most suitable time for working with twine/burlap crafts. So ladies, get set ready for getting another fun idea of home decore by ME.. 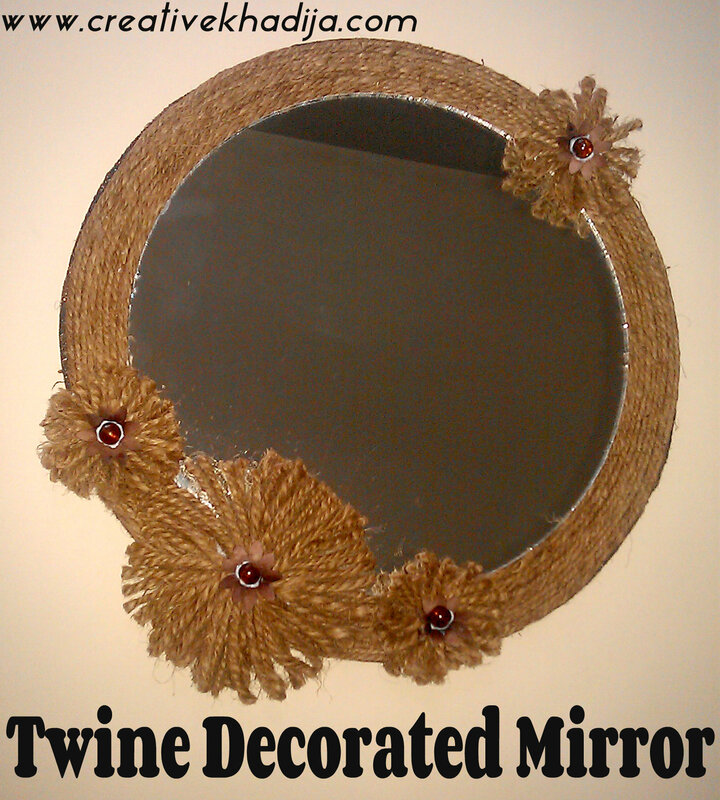 Here Today I will be sharing about the making of this twine decorated mirror.. a simple & fun idea.. 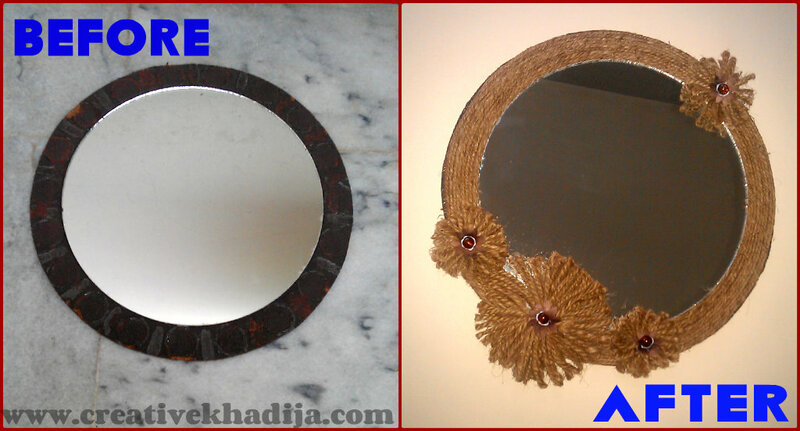 Taking picture of any mirror thing is not an easy job.. be sure to place it at a proper place for a better image! well I m placing this mirror at floor & the ceiling is not looking as a messy thing! I share this image as a sneak peek at my instagram, If you are there be sure to join me for the regular updates about my arty crafty life. At first, I separate all spoons from the mirror & remove the glue with sand paper. 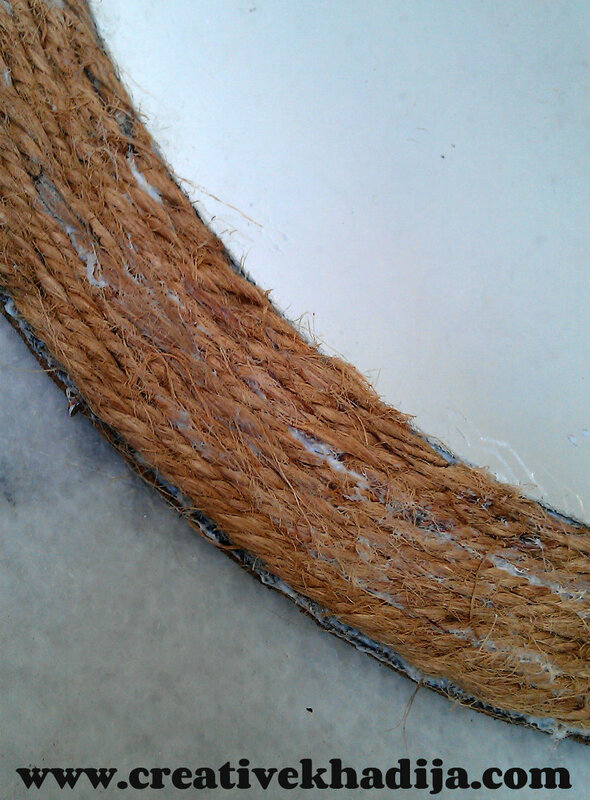 then apply a thick layer of any Transparent glue. (mod podge will be great) Now start pasting the twine around the sides of mirror. Don’t worry about the glue if it is visible, it will get transparent when dry. 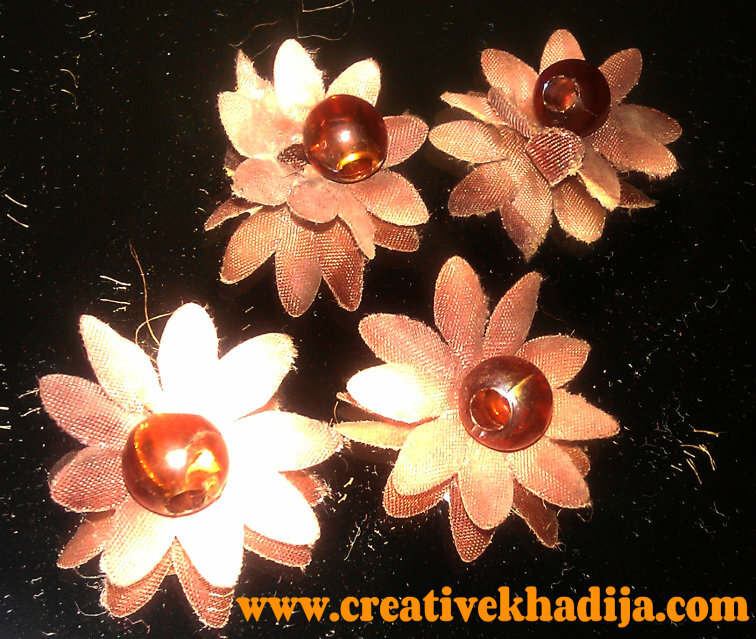 Now make the flowers for the embellishment, follow the steps above & make the flowers. I also paste these fabric flowers in the middle of jute flowers. And its done! isn’t it looking well?? 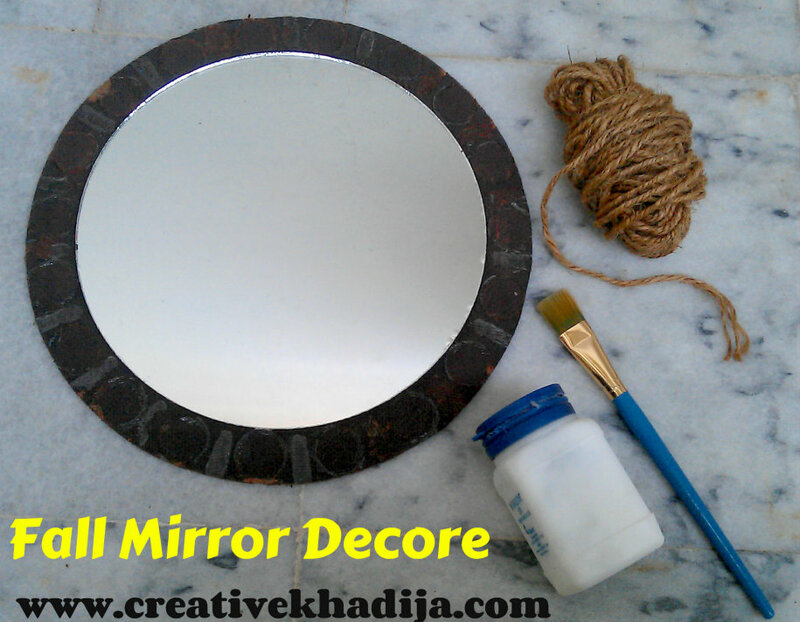 This was actually the before image of mirror, actually I was tired of seeing the same spoonful mirror, so I puck these off & make another one with twine embellishment.. hehe.. I hope you don’t mind my fun upcycling..! I was guest posting at Answers.com & my this Fall inspired Mirror was featured there.. Happy..! Fall inspired pen holder from archive posts, I hope you will like it. 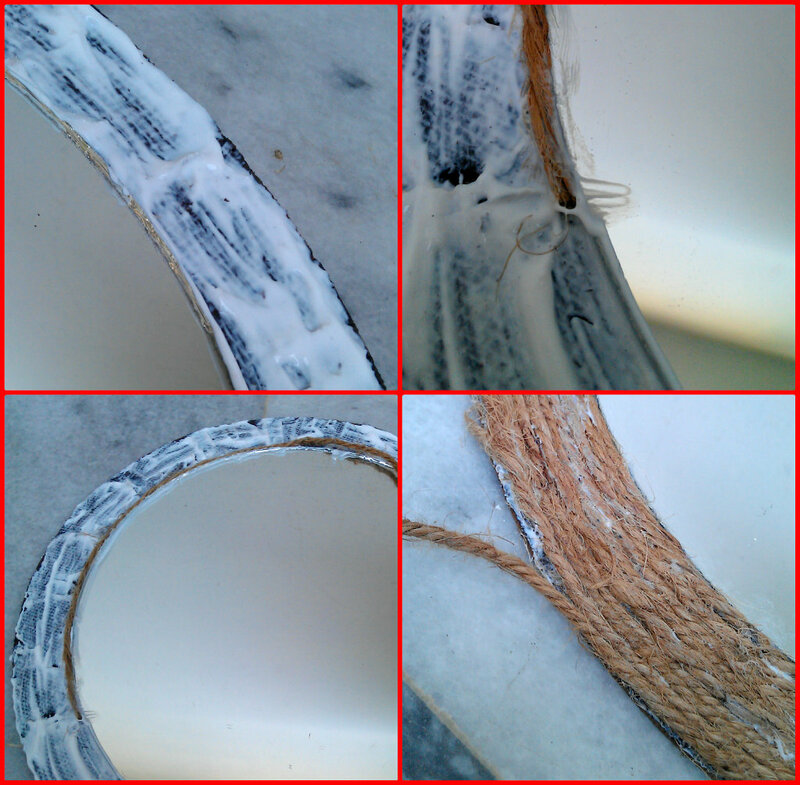 Have a Good Day Friends..
very nice up-cycle – I love twine projects!! 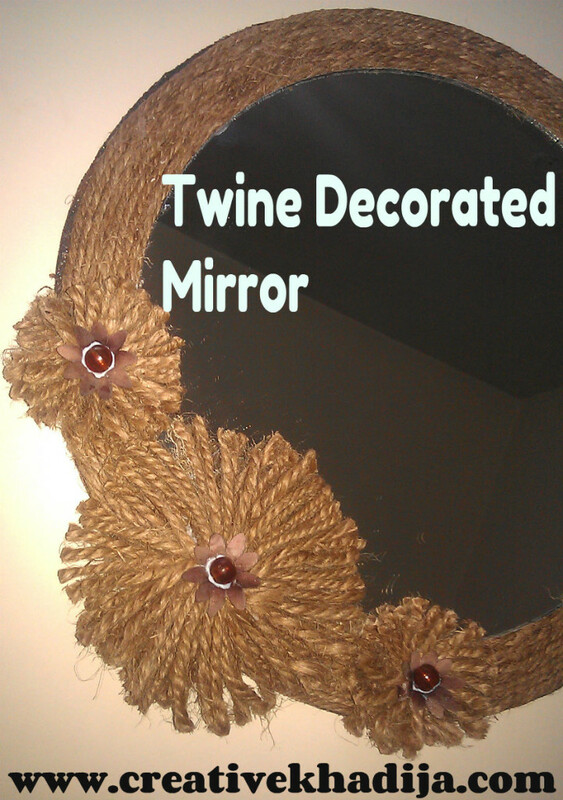 I liked the mirror decorated with twine the most..Thanks for sharing the tutorial also…I will also try this…. It’s amazing the ways you find to spruce up and reuse. Very creative. Great, fall is so inspirited. Okay, now this is cute and creative. What a fun touch of fall and having it done around a mirror, I just love that. I love making cute wall hanging out of mirrors and this one is fabulous. Thank you so much for sharing. Love this project and those flowers are great! thanks for sharing on craft schooling Sunday! This looks so cool! I’d love if you’d link up to The DIY’ers! I LOVE this idea. I wish I had seen it before I made my sunburst mirror. That is so charming, K! Love the natural look, what fun! SUCH a pretty project…you did a great job with this! This would be great to link-up .Hope to see you there! Wow this is amazing Khadija – What a transformation, I love this version, what a job!!! The fabric flowers looks so cute, most wonderful fall inspired twine mirror I’ve ever seen:-) thank you so much for sharing and have a beautiful day. What a fun look. Rather nautical looking. So glad you shared this on BeColorful’s Motivated Monday this week. Clicked over here from CJM’s Craft Schooling Sunday. Beautiful project! The natural/rustic twine is nicely dressed up by flowers. My girls’ room can use a mirror so this will be a nice way to dress up a cheap $1 mirror. Thanks a lot everyone fort the visit & for appreciating my work, Have a great day :) keep visiting..